Collar & Cuffs Co currently has three productions out on the road and touring, with two more currently in development. 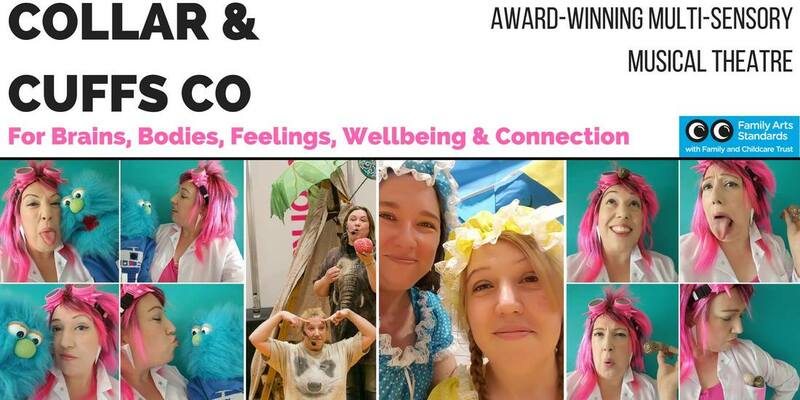 All performances are Relaxed and signed, and are suitable for babies and beyond, including children and young people with complex needs, and all exploring aspects of children's mental health, development and wellbeing. Available for early years settings, primary and special schools, theatres, festivals, gardens and parks, libraries - you name it! Little Meerkat's Big Panic has been seen by over 3000 children and their grown-ups to date, and is based on the book of the same name by renowned parenting and childhood trauma expert, Jane Evans. As seen at Brighton Fringe, geronimofest.com, Childcare Expo, and the TES SEN Show. Winner Best Family Show, Buxton Festival Fringe 2018; Winner Best Community Project, Luton Community Awards 2016. Crabby: Experience the sights, sounds, smells and characters of the Edwardian seaside in this musical multi-sensory interactive show. Co-produced with Early Years SEN, this production helps children and their grown-ups explore tantrums, tempers and frustration through water play. Winner Best Children's and Family Show, @International Youth Arts Festival, Kingston 2018; sold out premiere run of 5 shows at Brighton Fringe 2018. You, The Loo and Nappy-Nappy Noos: Going to the toilet: one of life's mysteries... especially if you're only just learning what it's about, or maybe find it a bit scary. A little alien arrives from another planet and has to learn all about toilets, hand washing, wiping, and... the dreaded hand dryer! Suitable for children getting ready to leave nappies behind, or for older children who may find toilets and hygiene a bit difficult, especially due to sensory processing needs. Involves toilet humour, naturally...In partnership with ERIC UK, the children's bowel and bladder health charity. Sold out premiere run of 4 shows at Brighton Fringe 2018. 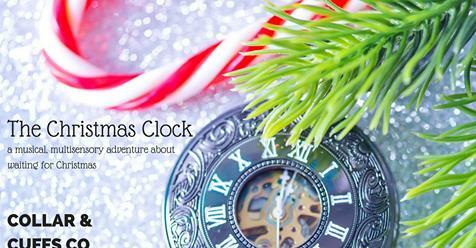 ​The Christmas Clock - a sensory theatre production in two very beautiful historic houses, about the really tricky and stressful part of Christmas for young children and children with SEND - waiting!